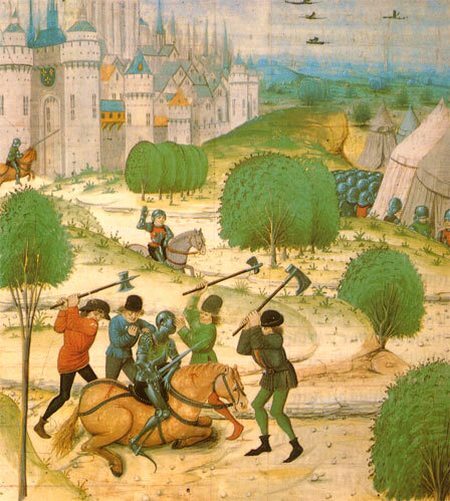 This is the first of a series of theme topics covering Medieval Life in the 15th century. A list of primary subjects to be covered are listed at the index and will be linked in future for easy reference. 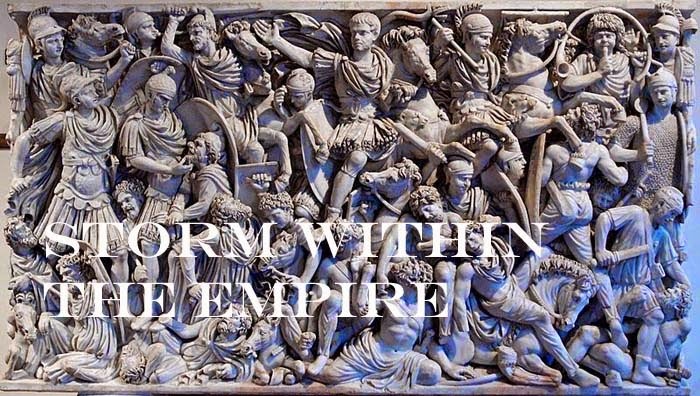 These short monographs are not meant to be scholarly essays, but a simple compilation of topic matter with suggested application to the DBA campaign, “Storm within the Empire”. Peasantry – to be or not to be. 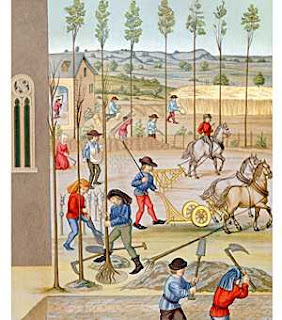 From the French word paisant, one who pays, made up the majority of the labour force in Medieval Europe. In fact, most sources claim the Church and the Nobility account for 10 % of the population, while 90% toil and labour for their daily crust. Further, the labour force was divided among freeman, serf and slaves. Simply put, a freeman could hold title to land which would be subject to taxes and as a freeman had obligatory service to the local lord. At the far end of the spectrum, slaves had absolutely nothing. To some degree, the serf while technically not a slave, did find himself under just as harsh conditions as a slave to pay off debt caused by defaulting on taxes or loans. Those who toiled on the land, the weather was a peasants greatest enemy, as periods of excessive heat or cold would result in poor crop yield. It goes without saying, less crop yield would have an affect the wider scope of medieval economics (less tax), health (malnutrition and survival rate) if the same climatic events repeated in successive years. There are a multitude of reasons why the peasantry would revolt, the most common could came from excessive taxes. A freemen could easily find himself indentured through defaulting on loans or taxes or through the oppressive nature of an overlord; from freeman to slave at a whim. Peasant revolts occurred throughout Europe, from England, Spain, France, but the most noteworthy were the German Peasant’s War of 1524. This falls outside our time frame, but certainly illustrates the size a rebellion can take. Application to a DBA campaign. How does one apply this to a DBA campaign? For our campaign bounds are no longer seasonal, but are expanded to represent the months of February to November. The Winter season is also expanded to allow extra time to devise cunning plans. I have considered adding simple tables for weather, harvest yield equating to possible taxes, but rather devising tables I will test a sample year before adding complicaton. Simplicity should be the key and if a player's prestige points plummet, then that should presage all sorts of unhappy events. Peasants on the DBA table. Peasants, hordes or levy are varied under the DBM(M) system. Based as 5Hd or 7Hd, the former used warband factors which gave the “horde” some extra fighting power. In some ways, I found the two basing options offered a subtle distinction between the freemen (5Hd) and serf/slave (7Hd). At the time of writing, I am using the draft version DBA 3.0 version of August. The proposed Medieval German Army does list 2 Hd as an option for Bd or Pk of the City Militia (DBM reference). As the majority of armies fielded in this campaign, all levy or horde are optional. Although the loss of horde are treated as expendable and do not count as lost elements in resolving a standard DBA game perhaps they should be treated differently under campaign play. An option for a player who cannont rebuild an army during the Winter season to full compliment may find no recourse but to use peasants (Hd) to stiffen the ranks. More later. Interesting. I think the weather is too often ignored in gaming, most games seem to be played with the "assumption" it´s a mild day, no-one will be effected by heat exhaustion, knights in full armour would fare badly after a short while against lightly clad peasants on a boiling hot summers day. Bowstrings would slacken in the pouring rain reducing range and hitting power, horses would slip in the eventual muddy ground. I´ve a set of rules, napoleonic ones from newbury. It mentions weather, rain and mist, but how heavy the rain is or dense the fog..nothing. Under the old WRG Ancient set, weather conditions also played a factor with each game. DBA 3.0 scratches the area of weather stating if the first roll of the die is "1" then ploughland becomes rough going. On a campaign level I am sure a similar approach could result in inclemant weather for that bound.